Anyone who meets Dan knows he is a man who wants to learn, go places, and do things on his own. Dan started at The Arc when he was a young boy, receiving respite services. When he became an adult, one of his goals was to move out of his parents’ home. In August 2013 he achieved that goal when he moved into The Arc community home in Jessup. Dan is extremely independent. He soon realized that he wanted to live in a place that would give him the flexibility to do more things without his staff. Last month, Dan moved from Jessup to a townhouse in the Village of Dorsey Search. Now he is within walking distance of the Village Center. Dan can go to the grocery store when he wants, he can catch the bus if he needs to go somewhere, and there are lots of bike paths to enjoy. Goal achieved! Dan also loves to travel and go on vacation, with and without his family. On his first non-family vacation he traveled to Las Vegas with a roommate and staff. 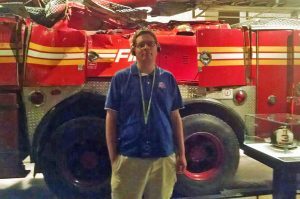 This past June, Dan took a bus trip to New York City. 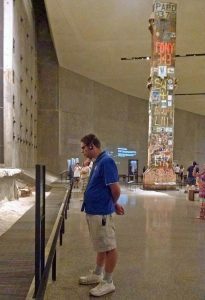 His goal was to see the 9/11 Memorial and Museum. His travel companions included staff Annie Caldwell and Tony Agbede, as well as Larry D., who is also supported by The Arc and had a goal of taking three bus trips this year. On June 24, the group boarded the Megabus bound for NYC. Despite some travel delays, they had a wonderful adventure that included cab rides, a tour of the 9/11 Memorial and dinner in the city. Dan took lots of photos to remember the day. Goal achieved! In addition to enjoying travel, Dan is a foodie who enjoys trying different ethnic foods and knows some of the best ethnic restaurants in Howard County. He has a real passion for astronomy and is a member of the Howard Astronomical League. Dan is also a member of GILD (Group for the Independent Learning Disabled), and enjoys attending the meetings twice a month. 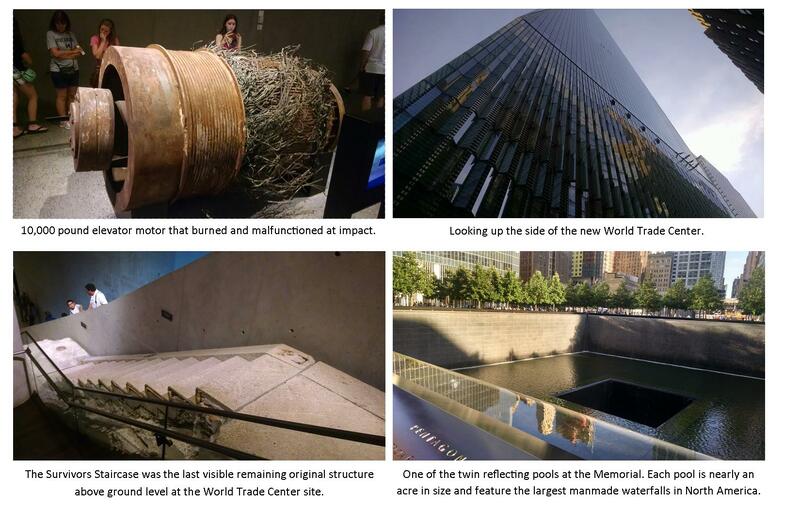 Below are a few photos from Dan’s visit to the 9/11 Memorial Museum.